Alright, folks. This is it – the biggest giveaway on The Reel Place yet. 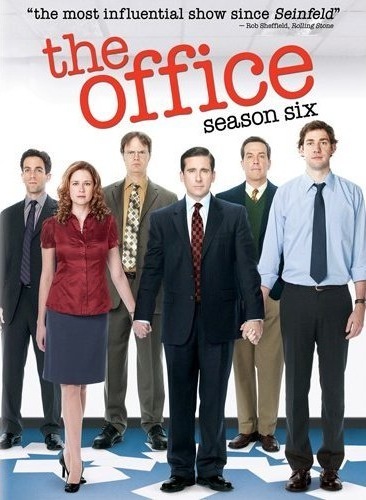 Three lucky contestants will each walk away with a copy of The Office‘s sixth season on DVD – valued at over $35 a piece! 1. Write a brief story about the worst boss you have ever had. 2. Enter your “Worst Boss” story into the comments section below and . . .
3. Email a copy of it to me (luke@thereelplace.com) along with your name, phone number and mailing address (for shipping purposes only). If you have one of the top three “Worst Boss” stories, you win! The contest will end on at 11:59PM MST on Monday, Sept. 6, 2010. You must carefully follow all three steps and have it submitted by the deadline to be considered. The winners will be announced on Tuesday, Sept. 7, 2010. ‘Office Christmas Party’ and Blaze Pizza Giveaway!